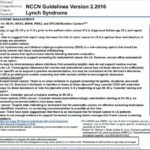 Lynch Syndrome is the most common form of Genetically determined colon cancer predisposition and can also set the stage for cancer in other parts of the body. 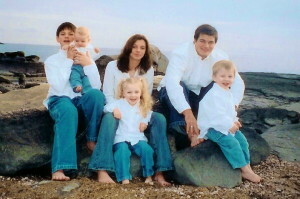 This hereditary syndrome usually results in a germline mutation in 1 of 4 DNA MMR genes. (MLH1, MSH1, MSH2, MSH6 or PMS2). There is also a possible association with three other genes (MLH4, PMS1, and EXO1) as well as an EPCAM deletion. 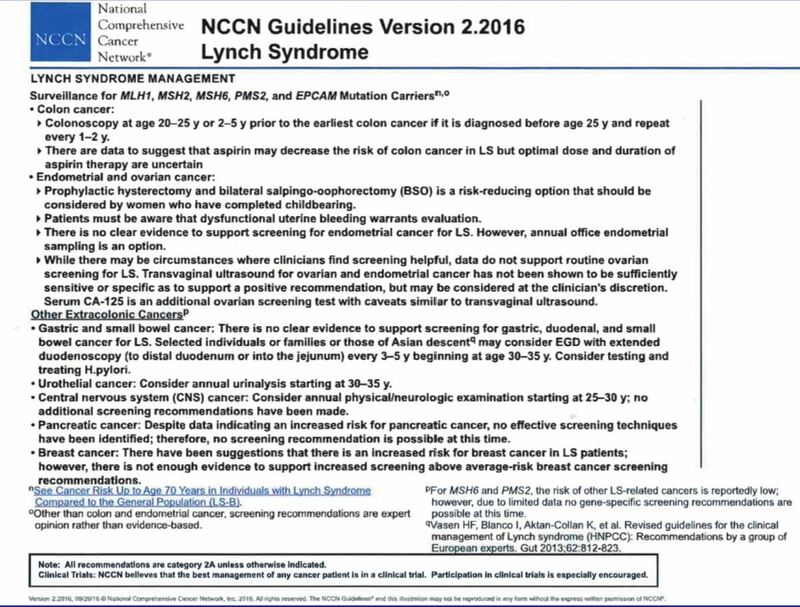 The following are some guideline from the NCCN – National Comprehensive Cancer Network.